I'm using this as a jump up stool by my bed for my little pups - the bed is too high. It works great and is a nice accent to my master bedroom. Perfect height for putting my feet up. Has real wooden legs and the tassels add a fun touch. Seems sturdy, hopefully it will last many years. 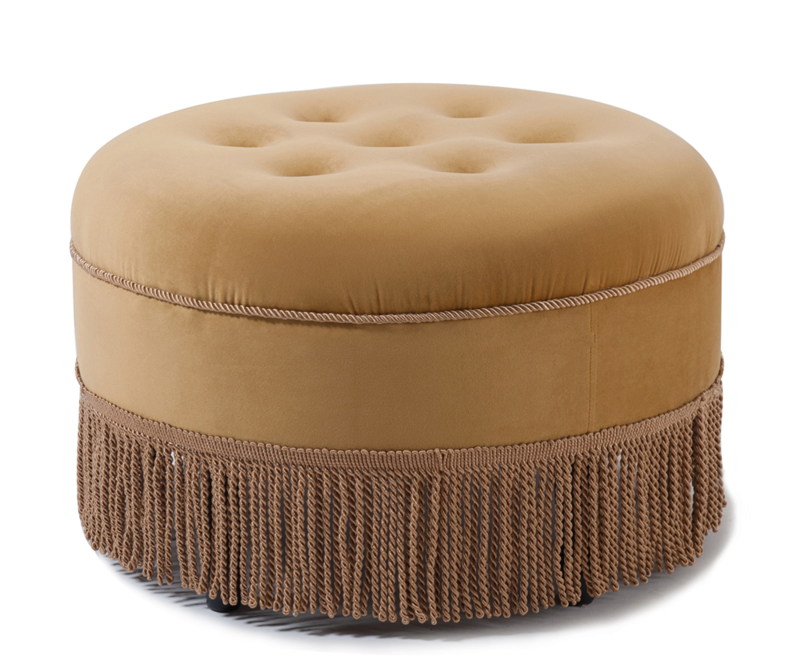 Liked the ottoman but it didn't go with my decor. I was surprised to find that along with shipping costs, there is a 20 percent restocking fee. I ordered the gold and it is absolutely lovely! The velvet and fringe make it look very luxurious and much more expensive than the price I paid! Very happy with this purchase! 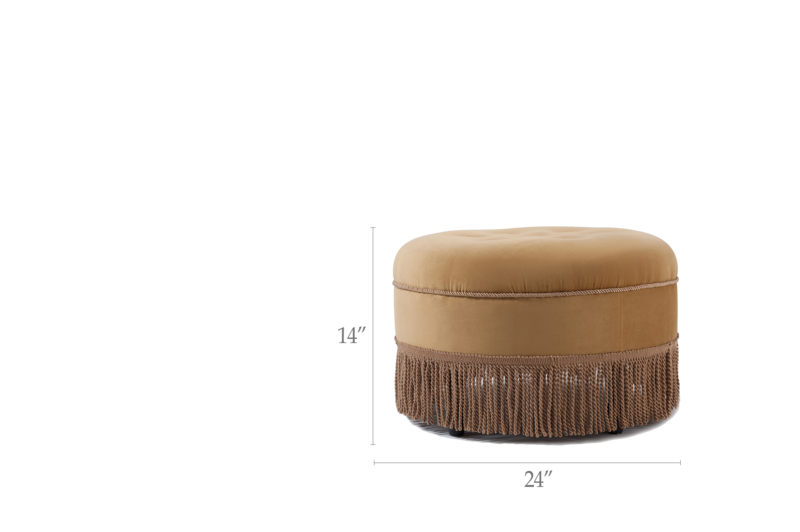 This little ottoman is very nice and more solid than I expected! Cannot beat the price. The color is basically true to the picture, a muted gold. Works perfectly in my living room. I wasn't completely thrilled with the fringe in the picture, I thought it looked cheap but it's fine.